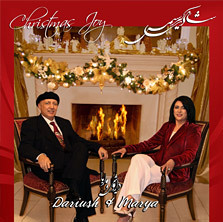 Dariush & Marya started their worship ministry in 1981 at the first established Iranian Christian church in the US. Seeing the need for more contemporary Christian songs, they started translating many popular songs, & their first CD, �God Is Good�, which includes a church choir, was released in 1995. This is available for FREE download at the Audio section. 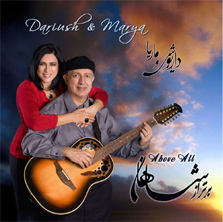 In 2010, their 2nd CD �Above All� was released, which includes instrumental tracks for Iranians in home churches or bible studies that lack musicians. People from all over the world are telling us how grateful they are for this & that it makes their worship time more meaningful. 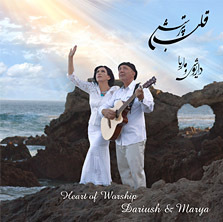 Dariush and Marya's 3rd CD, "Heart of Worship" was released in 2012, which includes many popular christian songs as well as printed lyrics and instrumental tracks. 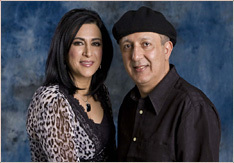 They lead worship at many conferences in the United States, and their Praise Nights that attract hundreds of worshippers at every event have been a blessing among Iranian churches around the U.S. The main goal of this ministry is to enhance the level of worship among Iranian believers to go to a deep, powerful, life-changing experience with the Lord. How to discover His presence with a heart of worship.